I just can't resist posting this photo. It's from yesterday, the first day of competition at the Commonwealth Games. Imagine: You make your national team. You get to represent your nation at the Commonwealth Games. You take a selfie. 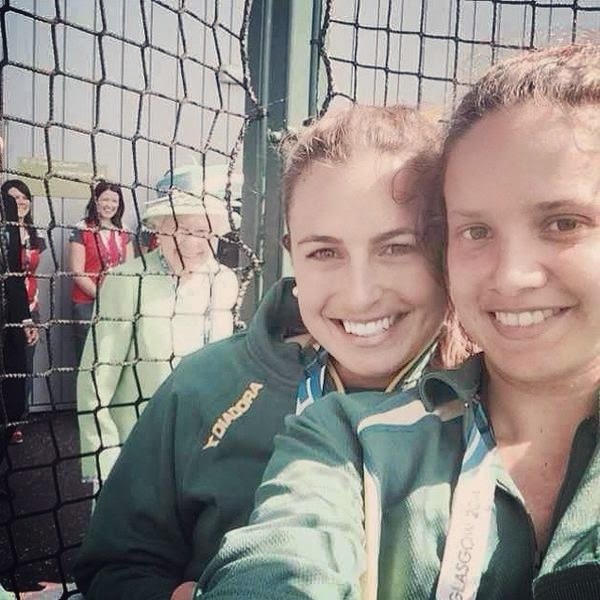 And in your selfie is a photobomb. By the QUEEN. She's smiling. She knows she's photobombing your photo. What a treasure for those girls!